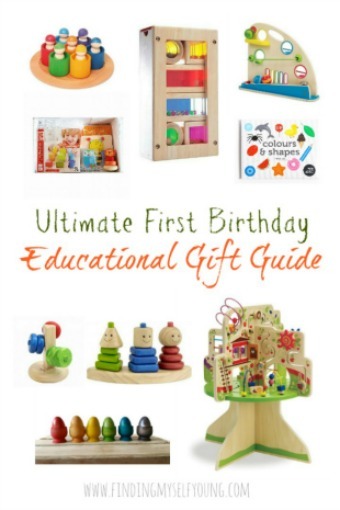 If you have little kids then you'll be well aware of Jimmy Giggle and his owl pals Hoot and Hootabelle.... we're a bit obsessed with them here. Actually apparently mums all over Australia are a bit crazy obsessed with Jimmy Giggle himself. You could probably say I'm one of them, but not in a crazy stalker I want to have his babies kind of way. More because I can appreciate the attraction of a man who keeps kids entertained and (at least looks like he) enjoys it. Doesn't hurt that he's easy on the eye (but the hairy chest is a total deal breaker, it was never going to happen even if he didn't have a wife and baby on the way and me and T weren't engaged with a toddler; sorry Jimmy!). As soon as I saw the Giggle and Hoot tour announced I was all over it. We bought tickets like two minutes after the pre-sale was open. Yea, like I said, we're a little obsessed with Giggle and Hoot. Bub had no idea what was going on and I think she actually thought we were going to the hospital because thats the only time we ever go into the city early in the morning. Then when Aunty Sam and her cousin showed up and we went into a big theatre she got a bit suss. And wasn't interested in being part of this group photo at all. Well to be honest she probably didn't know exactly what was going on and was probably wondering how the hell they got out of the tv and in front of her. But either way she soon got super excited. I was going to use this photo for next weeks 52 Weeks of Memories happy prompt, but it came out a bit too fuzzy. Shes so, so happy in this photo I'm glad I caught it on camera. She was actually way more excited at the concert than she was when she actually met Jimmy in person a few months ago, no offence Jimmy she'd just woken up that day. I'm both proud and slightly ashamed to admit that I was singing all the songs at the top of my lungs the whole time, but its ok it was really loud in there so nobody could hear me. Probably lucky for them. Even though I totally rock at singing kids songs. 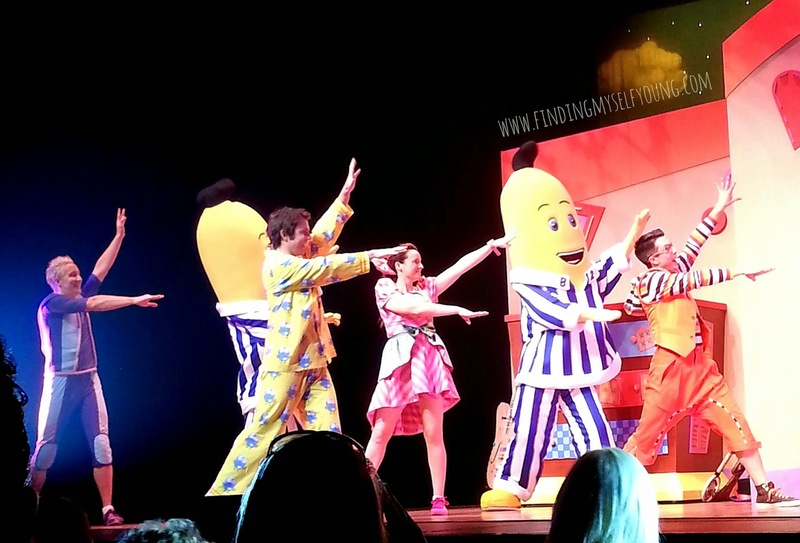 It wasn't just Giggle and Hoot either, the Banana's in Pyjamas made an appearance too. Bub and her cousin got crazy excited when they saw them. You'd think kids would be scared of people dressed up in huge banana suits, but apparently not. Zap, Jango and Mimi from Hoopla Doopla were there too. Although it was super hard to get a non blurry photo of them performing because they're always moving around so much. Its seriously cool what they can do. Makes me want to be an acrobat, but then I remember I'm unko. 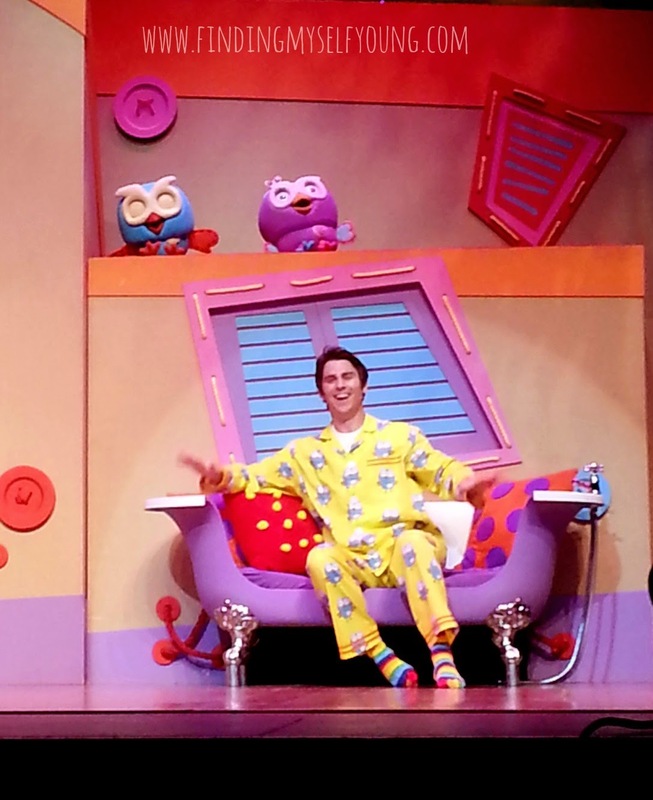 Jimmy, Hoot and Hootabelle came back out on stage later on and Jimmy was rocking his pyjamas as well. Just between you and me I think he was taking fashion advice from the Bananas. 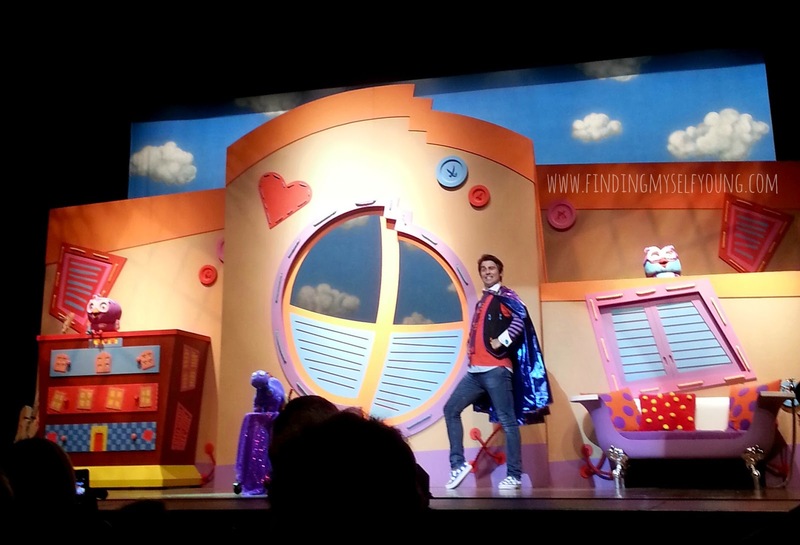 The show was awesome, like a musical for kids. Just when we thought it was over they all came back on stage for another huge dance. 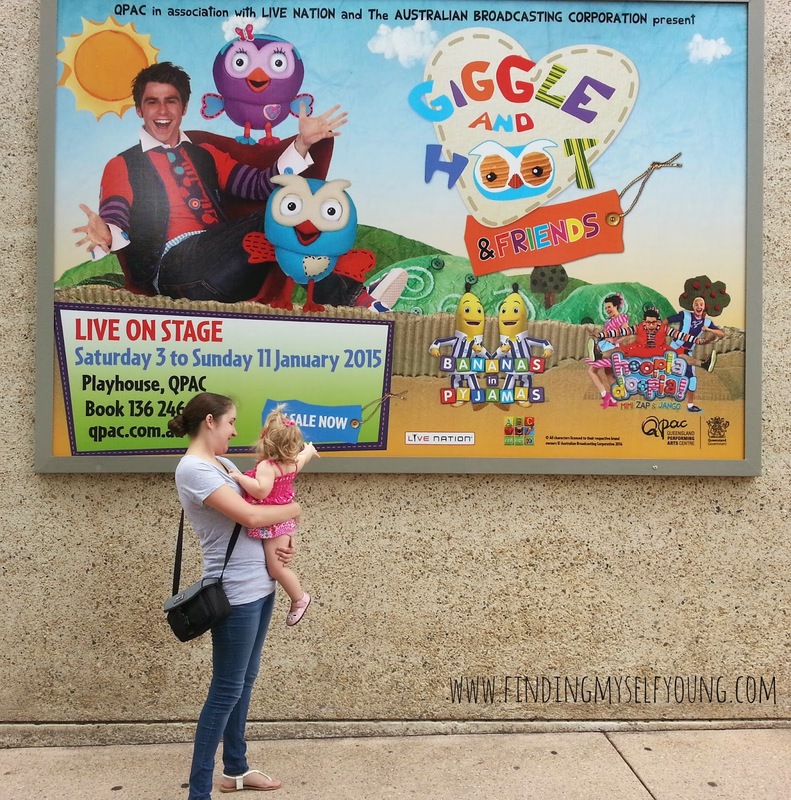 If you're looking for a fun activity to do with the kids and they love Giggle and Hoot then you should definitely go see the show. The tour goes until April across the country. 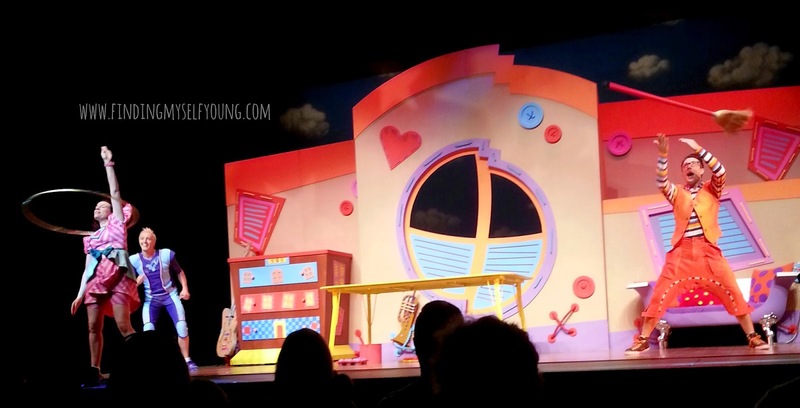 Have you seen Giggle and Hoot live? Linking with Grace, Ann and Kaz. 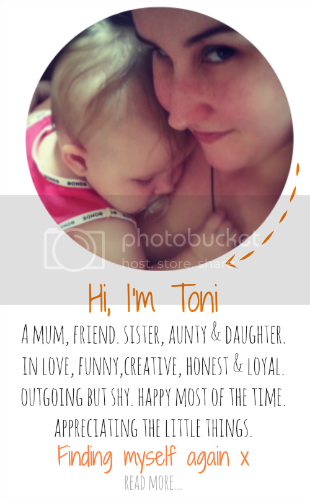 * This is totally NOT a sponsored post, it was just that good I wanted to share and didn't want to clog up the Facebook newsfeed sharing all the photos. If ABC want to pay me to review their shows or products though I wouldn't say no... just incase they're reading. Bub is so cute! It's so awesome watching their little faces light up when they see someone they know. I know she was so excited. Trent didnt really want to go but now he says hes glad he did because he got to see her so happy. Haha I don't think your alone I'm sure there are heaps of women who have a crush on him. That looks absolutely fabulous!! What a great show. I crochet some Hoot and Hootabelle teddies for my daughter and her friend. Big hit. Anything Hoot and Hootabelle is a big hit here too. 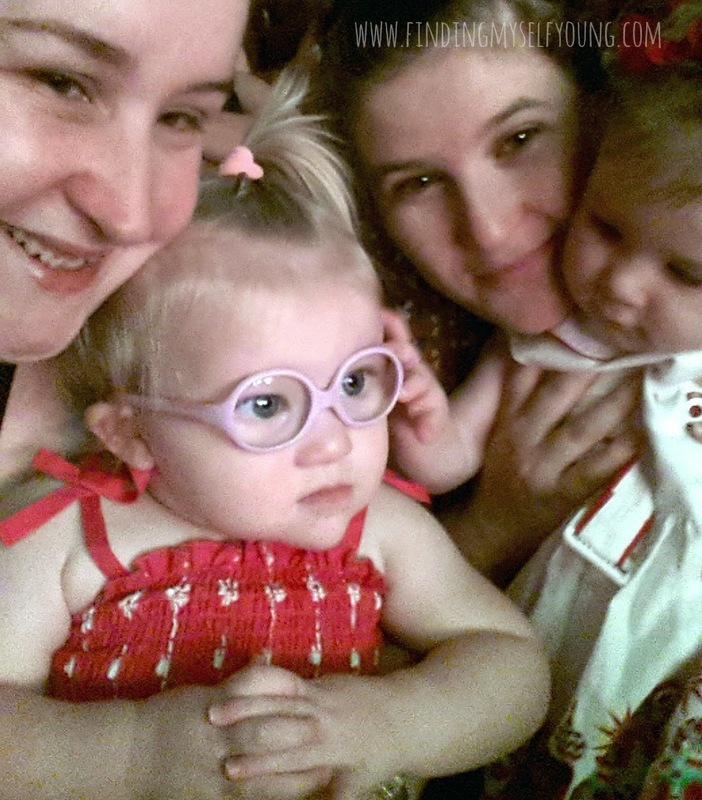 So much fun - it's a really joy seeing their faces light up and, blurry or not, that photo captures it perfectly! Looks like a fantastic show! 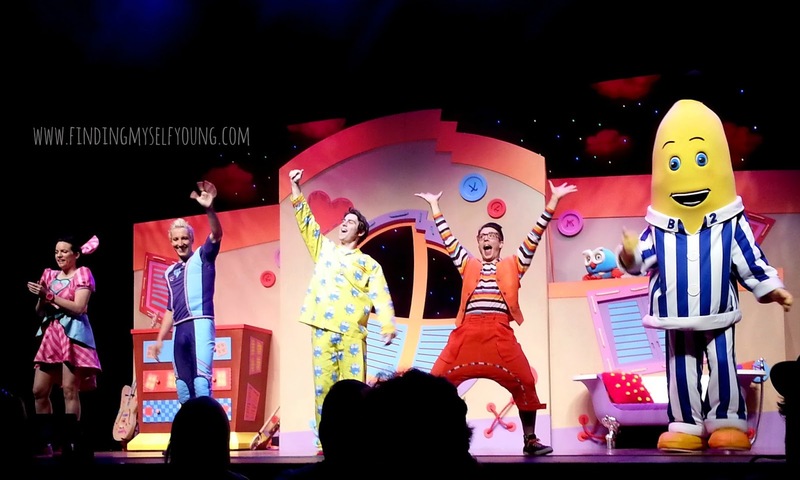 We decided to opt out after already seeing Yo Gabba Gabba, Play School and Charlie & Lola live last year. 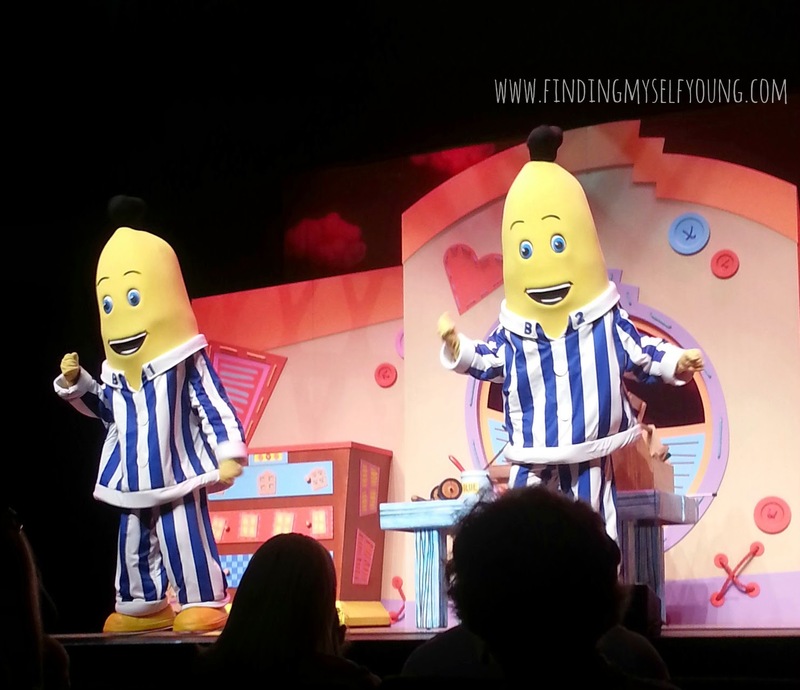 It's great that there are so many wonderful theatre shows for young kids. I love seeing my toddler tornadoes reactions at shows like this and seeing their faces light up. 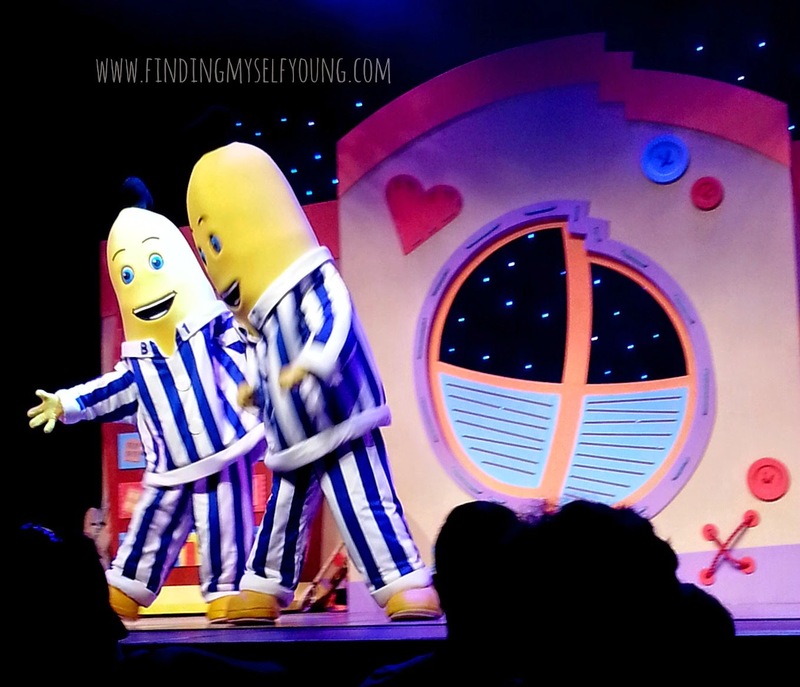 I'm such a fan of good kids TV and Giggle and Hoot, Bananas and Hoopla Doopla are big favourites in our house too. Wow you guys saw a lot of live shows. This was our first apart from a free Bananas in Pyjamas one at ekka time. 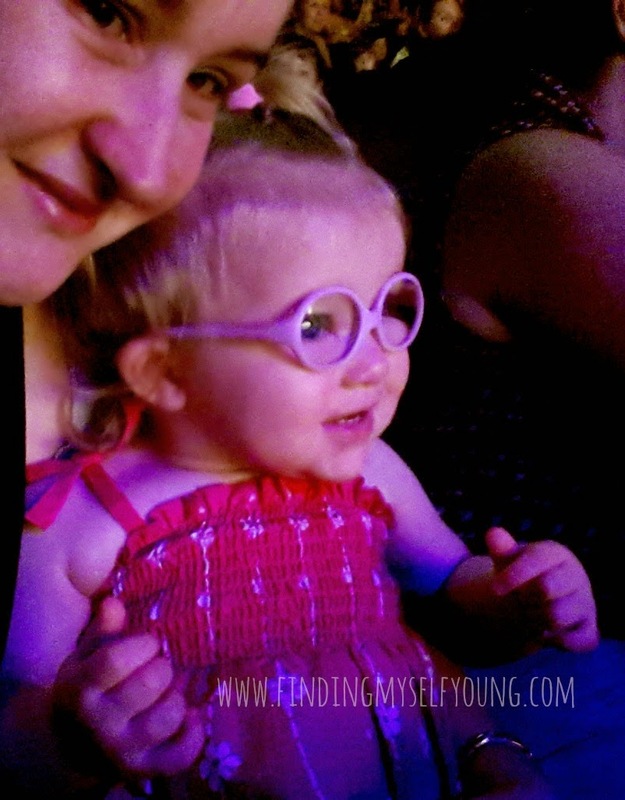 I love seeing happiness on the little faces, great post. Looks like you all hade a fantastic time. Yea it was so much fun and so awesome to see how happy she was. Ohhhh I wanted to take Cheese to this but it didn't work out for us. Looks really good! It was so good, I'm glad we went. I wonder if Jimmy Giggle feels weird wearing his pyjamas in public. Although I guess they aren't his actual pyjamas. 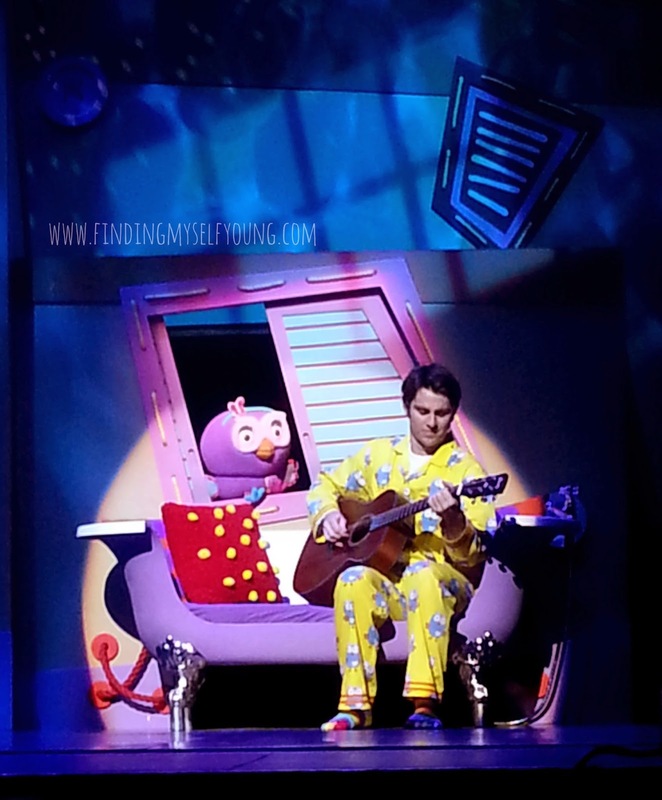 It'd be scary if they were his real pyjamas! Good to hear an opinion on this show. I love Giggle and Hoot. Didn't know the Hoopla Doopla crowd were in it too. We had too much going on these holidays but I'll keep an eye out for it if they tour again! Yea when I bought the tickets bub wasn't really into Hoopla Doopla, but she got into the show the last few weeks which was good because she recognised them too. I missed the interview on New Years Eve, but I heard about it so I googled Jimmy Rees interview just so I could hear his real voice! I've met him in person and spoken to him, but he was in Jimmy Giggle mode then. I know they are in Newcastle this coming weekend - will have to check to see if they have any tickets left as Delilah would LOVE this. BTW, I really like the first photo of you both in front of the poster - gorgeous! You should've seen how many people were giving us weird looks when Trent was taking the photo! I didn't care though, she was so excited to see them on the sign she started pointing like crazy. Yea I'm so glad my phone managed to catch a half decent photo of it in the dark, just wish I had some magic editing tool that could make it less fuzzy.